Priyadarshini Park is one of the prettiest parks in Mumbai, and a recent visit made us want to get started and get fit. 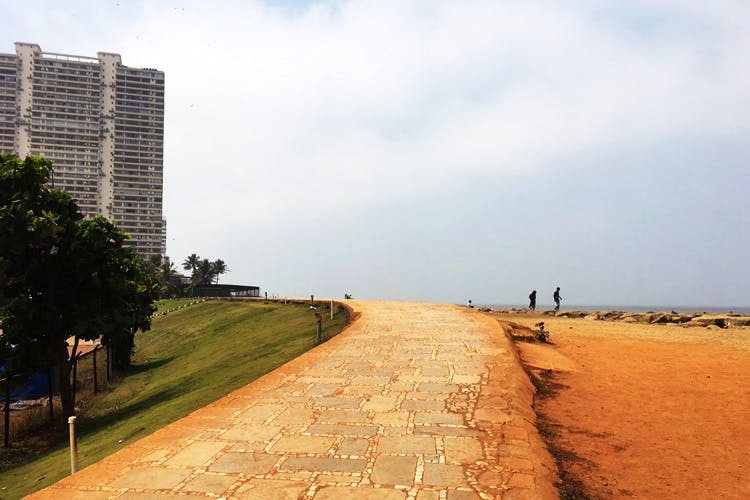 Parked right on the gorgeous Neapean Sea Road, Priyadarshini is a huge park with a running track and a fitness centre. Right next to the busy main road is this park of green and calm, right next to the sea. There’s a concrete running track snaking its way through the area, ideal for avid morning joggers, and like us, the ocassional huffers and puffers. You can also take your cycle there, play basketball or attend their aerobics or yoga classes. Through the park, there are many benches conveniently placed and always, a view of the sea on your side. One of the best things is that it doesn’t stay a park alone but has a fitness centre too, and a tennis court to add to that. There is no entry fee for the park, and anyone can enter. And after your run, bang opposite is the popcorn shop ‘WOW Popcorn’ if you have the post-workout munchies.